There are those that see the crucifixion of Christ as a martyr dying for a cause; martyrs however may offer their lives for some purpose, belief or organization, or nation and are victims of their oppressors. This is not the case with the LORD Jesus Christ – He willingly offered His life; no one took His life from Him (JOHN 10:17-18). Many haters of the Jewish people will refer to them as ‘Christ-killers’ – and while the religious leaders of that day had their hand in this deed, so did the Romans – and truth be told, so did I: it was my sin that nailed Him to the cross! Let us begin our procession into this, the Holy of Holies – the offering up of the atoning blood of our LORD and Savior . . . When the morning was come, all the chief priests and elders of the people took counsel against Jesus to put him to death: 2 And when they had bound him, they led him away, and delivered him to Pontius Pilate the governor. Morning had come, and yet this was the hour of darkness (LUKE 22:53) wherein Satan, in his desire to destroy Him Who refused to bow to him (LUKE 4:6-8) unwittingly played right into God’s Almighty, Omniscient Hands and did his part in the Plan of the Ages! 19 But with the precious blood of Christ, as of a lamb without blemish and without spot: 20 Who verily was foreordained before the foundation of the world, but was manifest in these last times for you, 21 Who by him do believe in God, that raised him up from the dead, and gave him glory; that your faith and hope might be in God. After the mockery of some illegal trials that should have never been allowed, they bound the One Who Himself needed no such things; as He was already bound . . . by cords of love (JOHN 15:13)! He was determined to offer up Himself a sacrifice (HEB 7:27; 9:28) as the Lamb of God (JOHN 1:29), Who takes away the sin of the world! How ironic that these priests, charged with the ministry of offering up sacrifices at this time of Passover, were entirely unaware that they were preparing to offer up THE Sacrifice of sacrifices, the Only Begotten of the Father! 3 Then Judas, which had betrayed him, when he saw that he was condemned, repented himself, and brought again the thirty pieces of silver to the chief priests and elders, 4 Saying, I have sinned in that I have betrayed the innocent blood. And they said, What is that to us? see thou to that. 5 And he cast down the pieces of silver in the temple, and departed, and went and hanged himself. Judas was indwelt by the spirit of Satan (LUKE 22:3); it was prophesied that the LORD would be betrayed by a “familiar friend” (PSALM 41:9-10) and yet Judas cannot be absolved of his personal responsibility – the LORD Himself said so (JOHN 19:11); and while one could make the case that this verse refers to the Jewish council, I think in the specifics, it refers to that familiar friend (MATT 26:49-50; LUKE 22:47-48). Judas, in all likelihood intended to turn the LORD Jesus in to the authorities, perhaps because he had witnessed His power, and being of the Zealotes clan, had hopes that if he could force His hand, He would rise up with such power and deliver the nation from Roman rule (this is however conjecture). In any event, Satan saw an opportunity, an ‘in’ with Judas and took it. There is of course the greed expressed concerning Judas (JOHN 12:6) and he hoped he would be rewarded for his treachery (MARK 14:11). 12 And I said unto them, If ye think good, give me my price; and if not, forbear. So, they weighed for my price thirty pieces of silver (See MATT 26:15; the price of a slave under Old Testament Law; see EXOD 21:32). 13 And the Lord said unto me, Cast it unto the potter: a goodly price that I was prized at of them. And I took the thirty pieces of silver, and cast them to the potter in the house of the Lord. 6 And the chief priests took the silver pieces, and said, It is not lawful for to put them into the treasury, because it is the price of blood. 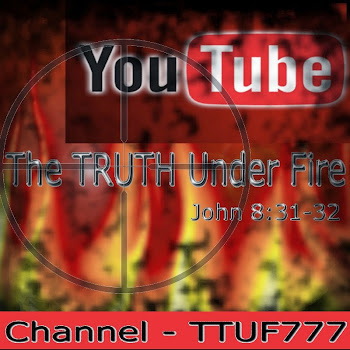 7 And they took counsel, and bought with them the potter's field, to bury strangers in. 8 Wherefore that field was called, The field of blood, unto this day. 9 Then was fulfilled that which was spoken by Jeremy the prophet, saying, And they took the thirty pieces of silver, the price of him that was valued, whom they of the children of Israel did value; 10 And gave them for the potter's field, as the Lord appointed me. Skeptics take note that this prophecy is found in Zechariah, but according to Matthew’s Gospel, it was a prophecy given by Jeremiah – an apparent contradiction. There are two possible explanations here: the first, is that while the prophecy was “spoken by Jeremiah the prophet” it wasn’t documented until Zechariah recorded it in his book. The other explanation concerns the way that the Tanakh was put together: in the various scrolls, the minor prophets were all grouped together with the major prophet, Jeremiah, and that’s how they would refer to any of the single books, under the heading of “Jeremiah”. Consider the hypocrisy of these religious leaders: here we have a situation where these men, representatives of YHWH as members of the priesthood had agreed to pay blood money to this betrayer, and once he reneged and threw the money onto the Temple floor – these men find themselves in a conundrum: they can’t put it into the treasury as it is the price of blood – an unlawful deed. Yet they didn’t seem concerned in the slightest in their commitment to see Jesus murdered, though that was a prominent prohibition found in ‘The Big Ten’ (EXOD 20:13)! Religion is a potential breeding ground for hypocrisy, duplicity and pride. There are over 300 prophecies that were fulfilled in exacting detail in the life, death, burial and resurrection of Christ, along with everything else concerning His First Advent; and about twice as many concerning His Second Advent! Here is a chart that documents some of the primary prophecies during His First Advent. Without any evidence provided by His accusers, that would support the LORD’s guilt, all He needed to do was deny the charges and the entire thing would have come to an end. Yet here we see the procurator, Pontius Pilate sitting on his judgment seat, with this carpenter, ‘the King of the Jews’ standing before him, bound and mute (ISAIAH 53:7) refusing to answer the charges. And this amazed the Roman governor. Why did not the LORD defend Himself? Because as He was standing in our place, He was taking the place of guilt for our sins. Even when He was “oppressed. . . and afflicted, yet He opened not His mouth”! 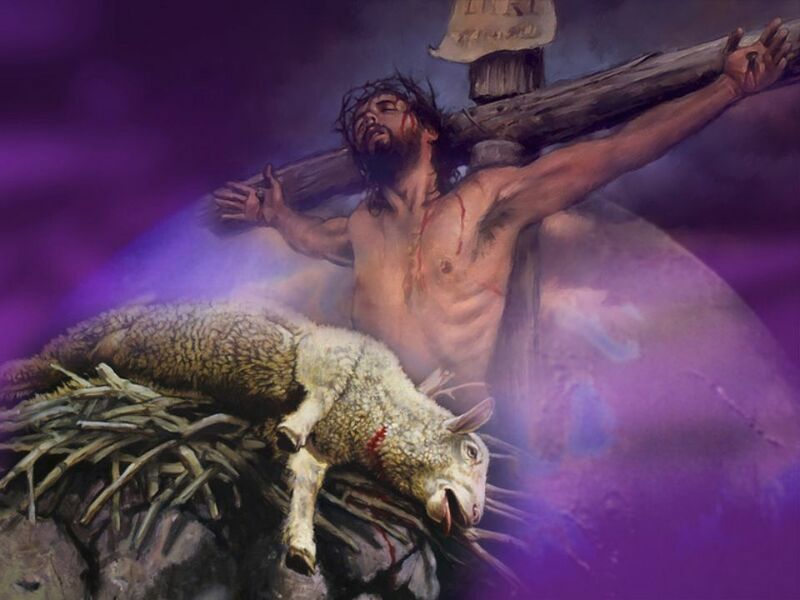 The Lamb of God offered up as our Passover, so that ‘the angel of death’ would do us no harm “. . . was brought to the slaughter. . .”! He Who comes to our defense when “the accuser of the brethren” (REV 12:10) appears before the Holy throne of God, bringing charges against the LORD’s elect for sinful deeds we sometimes commit, and declares us covered in His blood and righteous – and yet He Himself had no advocate to declare the pure and truthful innocence of His own heart (1 PET 1:19)! 15 Now at that feast the governor was wont to release unto the people a prisoner, whom they would. 16 And they had then a notable prisoner, called Barabbas. 17 Therefore when they were gathered together, Pilate said unto them, Whom will ye that I release unto you? Barabbas, or Jesus which is called Christ? 18 For he knew that for envy they had delivered him. There was a chance that the LAMB of GOD could have escaped His fate, at least that was the hope of Pilate, who knew the real motives of Israel’s Sanhedrin – petty jealousy and envy: wholly unbecoming of those who should have stood for righteousness, but whose spirituality had deteriorated to such vanity. However, His fate was sealed – not by powers outside of His own volition – but sealed by the mutual agreement of the Godhead – the Father, Son and Holy Spirit were in one accord that such a sacrifice was necessary and the only viable solution to the situation of sin in the human race (HEB 10:4-7,15-16). There was a choice laid before the religious leadership on that day in Jerusalem: choose either Barabbas or Jesus of Nazareth as the candidate to be released from incarceration and punitive action. Yet these men chose a robber and murderer over the Son of God, the Messiah of Israel (vs. 20-21; JOHN 15:25). 19 When he was set down on the judgment seat, his wife sent unto him, saying, Have thou nothing to do with that just man: for I have suffered many things this day in a dream because of him. 20 But the chief priests and elders persuaded the multitude that they should ask [for] Barabbas and destroy Jesus. 21 The governor answered and said unto them, Whether of the twain will ye that I release unto you? They said, Barabbas. 22 Pilate saith unto them, What shall I do then with Jesus which is called Christ? They all say unto him, Let him be crucified. We really can’t say with any certainty whether the dreams that Pilate’s wife had concerning Jesus, if they were given to her by God or not. Perhaps having followed the ministry of Jesus and seeing how He was a righteous and just man, not worthy of the treatment He was getting from the religious leaders, and perhaps being of a sensitive nature, her dreams resulted from that. In any event, that was yet another reason Pilate had to dismiss this unlawful action against this man from Galilee. In fact, when Pilate learned that Jesus was from Galilee, he attempted to pass off judgment on Him, and sent Him to Herod – yet neither man could find anything worthy to charge Him. And the two leaders became friends that day (strange how apathy or even hostility towards Jesus can create alliances among the unredeemed! See LUKE 23:1-12). I can safely presume I think, that when “the chief priests and elders persuaded the multitude” regarding the choice offered to them by Pilate, that they did so with genuine satanic influences, the very Adversary of God himself, orchestrating the entire mob, just as he orchestrated the plotting of Judas. And they chose Barabbas – whose name, interestingly enough means “son of his father” (JOHN 8:44). Even more so, the frenzied answer with which the crowd responded to Pilate, “Let Him be crucified”. The Roman procurator must have been astonished at the lengths the Sanhedrin was willing to go to. There was nothing Jesus did that was worthy of a scourging, much less crucifixion, and yet He received both from merciless, hardened Roman soldiers. 23 And the governor said, Why, what evil hath he done? But they cried out the more, saying, Let him be crucified. 24 When Pilate saw that he could prevail nothing, but that rather a tumult was made, he took water, and washed his hands before the multitude, saying, I am innocent of the blood of this just person: see ye to it. They couldn’t testify to the evil that Jesus did when Pilate asked for a legitimate reason for this Man’s crucifixion. 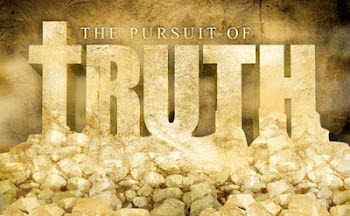 They only made their demand heard more loudly, because there was nothing to testify against (JOHN 8:46)! They were willing at this point in time to claim responsibility for the shed blood of Jesus, but after the Resurrection, when confronted by Peter and the apostles boldness, they changed their position (ACTS 5:28). Pilate was in quite the predicament: if the Roman Empire valued anything, it was peace and stability. Uprisings and revolts were intolerable to them, and yet the province of Israel, under Pilate’s leadership had known some of these already. Caesar would not look favorably on Pilate if there was so much as a threat of a revolt this time around. And a revolt is exactly what he would have if he refused to yield to the demands of these Jews! 9 And went again into the judgment hall, and saith unto Jesus, Whence art thou [in other words, where are you from]? But Jesus gave him no answer. Here is the epitome of humbleness – fantastic, Almighty power under absolute restraint. Imagine, these soldiers were beating up God! With but a barely spoken whisper the LORD could have banished them to oblivion! Yet with complete meekness, He willingly suffered this horrendous abuse, knowing that by suffering such humiliation, that would bring Him that much closer to the cross, where His shed blood would purchase countless, innumerable sinners and transform them into saints! We leave off here and will complete Chapter 27 next time. Until then, the LORD bless and keep you all!